Both the men’s volleyball team and women’s basketball team took the weekend by storm with two victories each, while the men’s basketball and women’s volleyball teams won one out of their two games. Here are the stars of the weekend. The second-year is no stranger to the Pita Pit Athlete of the Week award, most recently winning the weekend honour on Nov. 15, 2018, when she scored a career-high of 24 points. This weekend, she poured in 19 points for the Marauders in both of the team’s wins. Gates who was called to the 2018 Ontario University Athletics All-Rookie team, shot 50 per cent from the field and 40 per cent from the three, as well as collecting four rebounds in the win over Wilfrid Laurier University. Against the University of Guelph, she hit three of eight shots from three, and gave the team four steals and four rebounds. After sitting out due to injury, Passalent hit the court for the first time of the regular season and did not miss a beat, being recognized as the Pita Pit Athlete of the Week for his efforts. Facing two U Sports top-10 opponents this weekend, the Marauders took home two victories and Passalent was a big part of both. The fourth-year had 10 kills, two aces and a block assist for 12.5 points Saturday against University of Windsor, and 15 kills and 18.5 points against Western University, which bumped them up to #4 in the national rankings. There are 4️⃣ @mcmasteru teams ranked in this week's @usportsca Top 10s, with @MACMVB and men's wrestling both moving up two spots! In the Marauders’ second victory of the New Year, coming against the Guelph Gryphons, McCulloch contributed 23 points shooting 64 per cent from the field. The 97-80 road win seemed like just the fire the Marauders needed to bring it home and win again. Unfortunately, the Laurier Golden Hawks had other plans. Despite the fifth-year guard being the second highest leading scorer of the game with 15 points, the Golden Hawks came for revenge and defeated the Marauders 87-73 at home. Narin led the Marauders offensively in both games against Windsor and Western this weekend. With 17 kills and 23 points, including five aces and a solo block, she helped Mac defeat Western on Saturday night in the fifth set. Narin, a right side, also led offensively the night before in the loss to Windsor, with 14 kills, three aces and a block assist for a team- and match-high 17.5 points. This weekend McMaster basketball will face the Lakehead University Timberwolves in back-to-back home games this weekend, with the women playing at 6:00 p.m. and the men at 8:00 p.m. on Friday and Saturday. 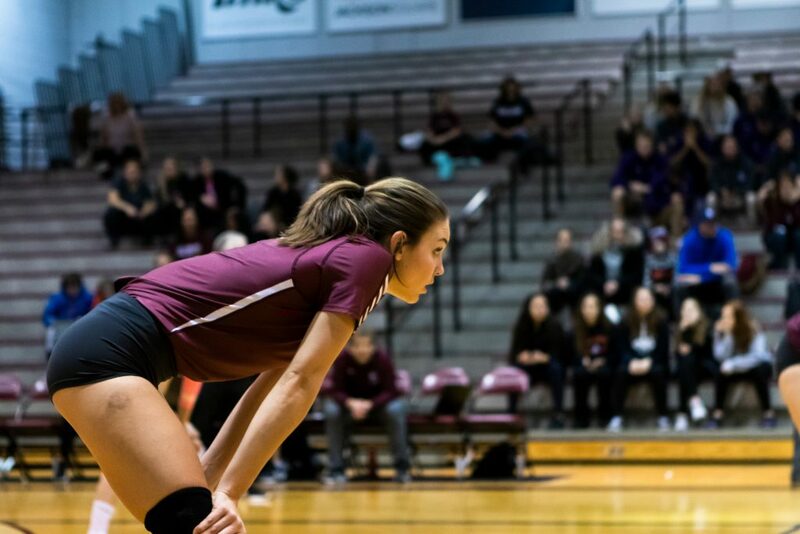 Both volleyball teams will then take over Burridge on Sunday, as the women and men host the Brock University Badgers this Sunday at 1:00 p.m. and 3:00 p.m. respectively.